We welcome Salem, OH’s Eric Campolito to the program. Campolito runs Division 3 Stock Eliminator. 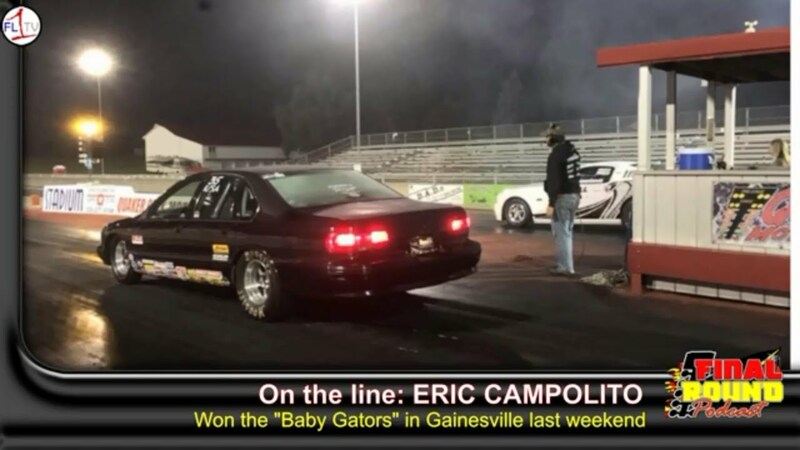 He runs a ’96 Caprice in the J/SA Class, and won the Baby Gators in Gainesville, Fla last weekend. He qualified 19th out of 103 in the Stock Eliminators.